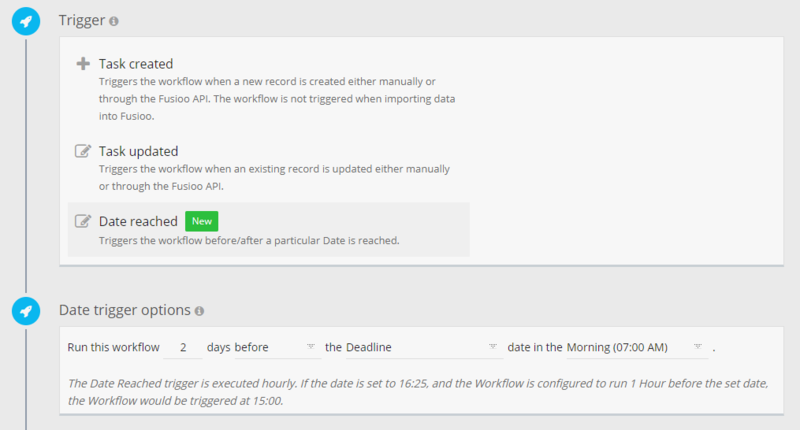 Workflows can help you save time by automating many manual pocesses. 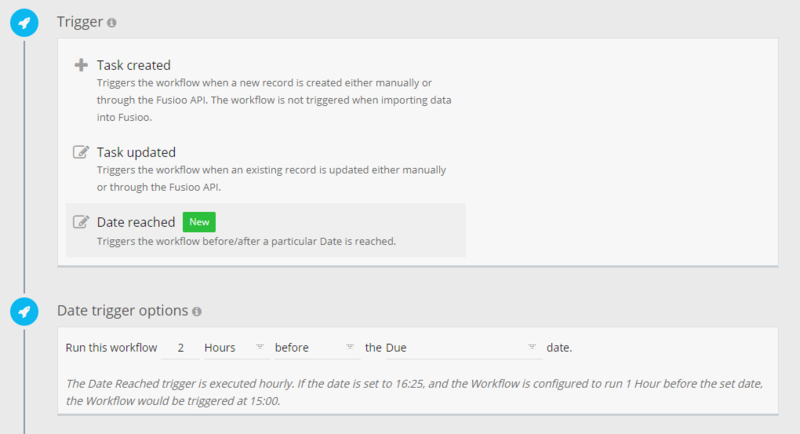 Here, we'll look at some examples of automations that can be achieved when using workflows. You can use the Date Reached trigger to create reminders for you or anyone in your team. Reminders work best when you have a Date Field in your App, like Task Deadline or Last Contacted. Trigger the workflow 2 days before the task deadline. Make sure the task is still in progress. We don't want to send a reminder if the task has already been completed! Send an email to the person/s responsible. If you have a task that needs to be repeated periodically (every day, week, month etc.) 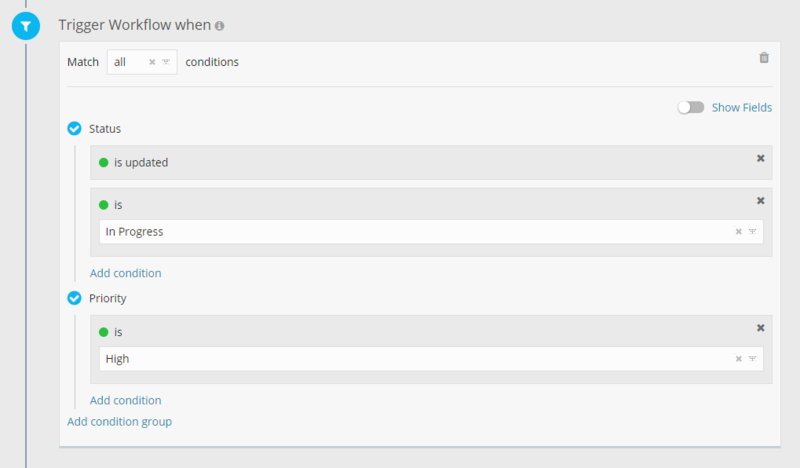 you can create a workflow to automatically adjust the Due date for you. Trigger the workflow 2 hours before the due date. Make sure that this task is marked as 'Recurring Weekly'. This is done so that only tasks marked as reccurring run through this workflow. Update the Due Date for the Task. Now we need to update the tasks's due date and set it to next week. Select the Update Record action. To update the Due date, just choose Copy Field value, select the original Due date and add 7 days. You can also create a new Task instead of just changing the Due Date. 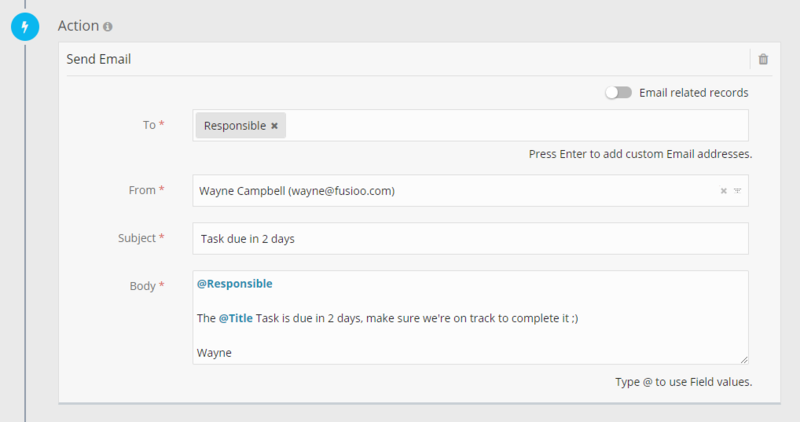 You can also use workflows to create templates to automate your normal work structure. Trigger the workflow when a project is updated. Make sure that the Status Field has been updated and set to In progress. This workflow will be specific for High Priority projects. 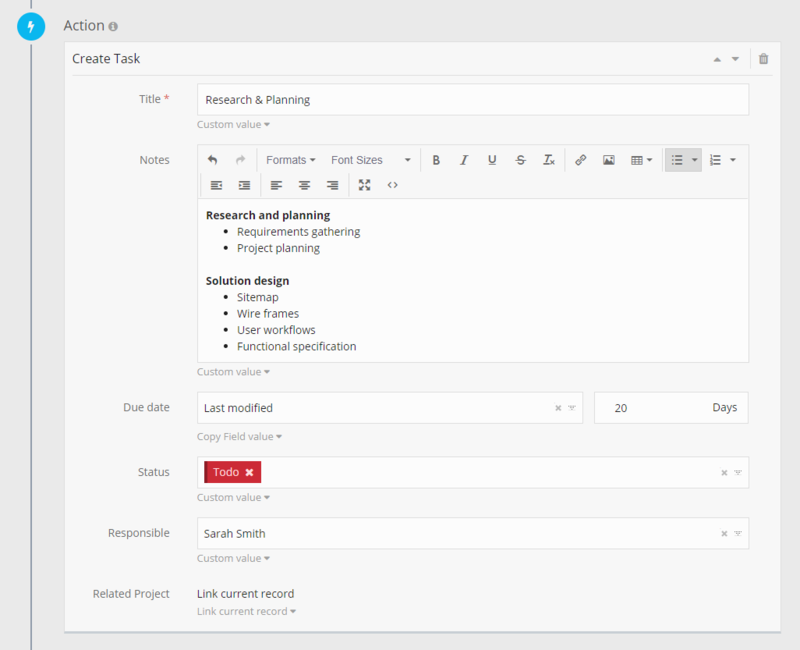 Now you can create the tasks and link them to the project that triggered the workflow. The due date for this task is set in 6 days. The value of Last modified in this case is the same as now, since the workflow runs exactly after the project has been modified. We can add another task and this time the due date is set in 20 days. Both these tasks will be connected to the project that triggered the workflow. 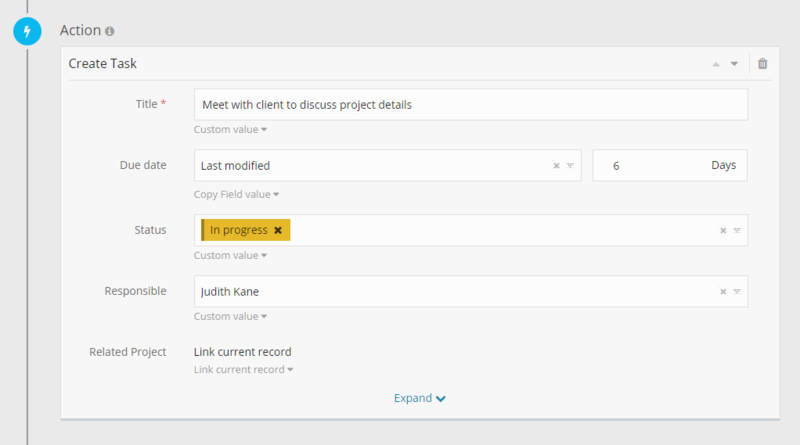 This is done when selecting Link current record in the Related Project App Relationship Field.